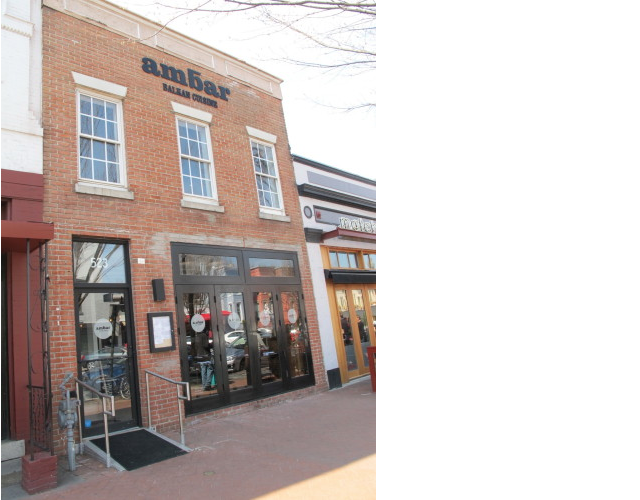 “Ambar, the nation’s capital’s first Balkan restaurant, owned by Serbian-born Ivan Iricanin and chef/restaurateur Richard Sandoval, is pleased to announce the introduction of a new Bottomless Dinner Menu, featuring unlimited small plates, Balkan specialties and a free-flowing beverage menu. Available all evening, seven days a week, the menu offers two package options; unlimited small plates and Balkan specialties with bottomless drinks for $59 per person (excluding tax and gratuity), or unlimited small plates and bottomless drinks for $49 per person (excluding tax and gratuity). The entire table must order the same package level of the Bottomless Dinner Menu, and guests will have a two-hour window to enjoy their food and cocktails or wine with this special offer. Ambar’s full a-la-carte menu is also available nightly. Guests enjoying the Bottomless Dinner Menu will choose from a large selection of small plate options. For starters there is the Spicy Crab Spread – made with ajvar, crab, cilantro, pickled chiles and served with crispy lavash chips, or traditional Hummus Dip – with paprika, olive oil and served with lavash chips, to name a couple. The menu also has two flatbreads: Grilled Chicken & Sausage – made with ajvar, kajmak, pickled onion and homemade sausage, andthe White flatbread – made with kajmak, cured aged cow’s cheese, fresh herbs, truffle paste and olive oil. Diners will have various mezze, soup and salad options to choose from as well, including Veal & Vegetable Soup – made with sour cream and fresh chive; the Roasted Squash Salad – with mixed greens, panko-crusted mozzarella, crispy bacon and a pomegranate dressing, andthe Mezze Platter For Two – including sliced meats, aged cheese, bacon-wrapped prunes, red pepper spread and fresh lepinja. There are also delicious vegetable, seafood, and meat & poultry options, such as Baby Red & Yellow Beets – served with pork “cracklins”, goat cheese mousse, toasted walnut and fresh chive; Sesame Crusted Salmon – served with horseradish sauce, spicy eggplant and arugula, andthe Ambar Burger – served with urnebes, cucumber yogurt and cabbage slaw. Those looking for Balkan specialties will want to consider the Marinated Crusted Trout – servedwith ajvar “zarandeado”, marinated fennel and arugula; the Veal Schnitzel – with bread crust, kajmak, cucumber tartar and Yukon potato mash; Mixed Grilled Meats – served with pork loin, sausage, Balkan kebab, chicken, Balkan burger, potato wedges and a pepper spread, and the Rib Eye Steak – a grass-fed rib eye steak with cognac jus, kajmak mashed potato and a Balkan salad. Found Dog at 12th and Florida Ave, NW – UPDATE: Owner Found!